Note: this preview is based on the v0.1.9.1 alpha build of the title currently available on Steam Early Access. At this stage the game is still incomplete and the game systems are likely to still go through many revisions, so keep that in mind while reading the preview. While there are many things Underrail does right, writing is not one of them. Its post-apocalyptic setting is a sci-fi pastiche that includes everything from robots to psychic abilities, yet never finds a voice, and lacks in surprises and charm. A lack of originality can easily be forgiven, especially in the increasingly crowded arena of post-apocalyptic fiction, but a lack of interesting elements is more difficult to swallow. The characters that populate the world don't fare much better: the NPCs don't say much of interest, and what little they do say is exposed in the same neutral personality-less voice, though at least they do say it concisely and clearly, which is better than nothing. 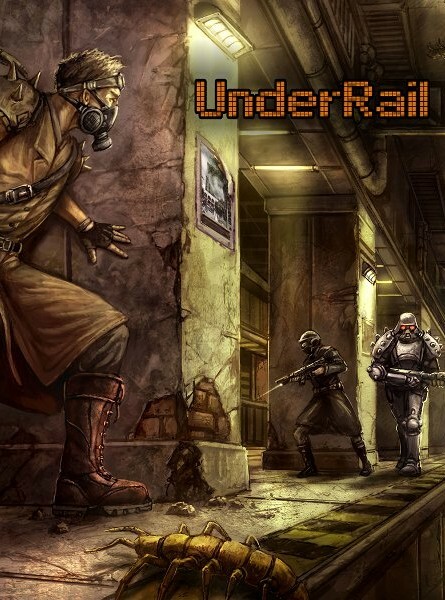 Plot-wise, the premise is simple enough: after an unspecified apocalypse humanity has been forced to go underground, in the complex known as Underrail. As a newcomer to South Gate Station, one of the major stations in the southern portion of Lower Underrail, you're tasked with a series of mission by your superiors, in light of a recent earthquake that blocked many underground passages that were previously used by the community. While the multitude of missions you're assigned to during the main quest works from a pure game design perspective, it doesn't seem to build up to an end point or explore any theme in depth, and ends up feeling like a collection of loosely related side quests. There's some foreshadowing of future political conflicts involving a faction called the Protectorate and the United Stations it protects, and hints that a darker power is at work, but no sense of a story arc yet. Luckily, given that Underrail doesn't feature any voice acting, even a dramatic overhaul of its dialogue shouldn't be out of the question, and there's even been some talk of hiring writers on the official forums, though nothing is confirmed as of now. The game is still far away from completion, so hopefully when I'll get back to it (and I most assuredly will) the narrative of the title will be closer to my quality expectations.